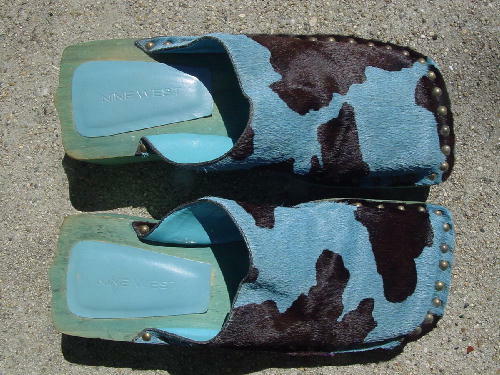 These pony hair (calf hair) mules are by Nine West and were made in Brazil. 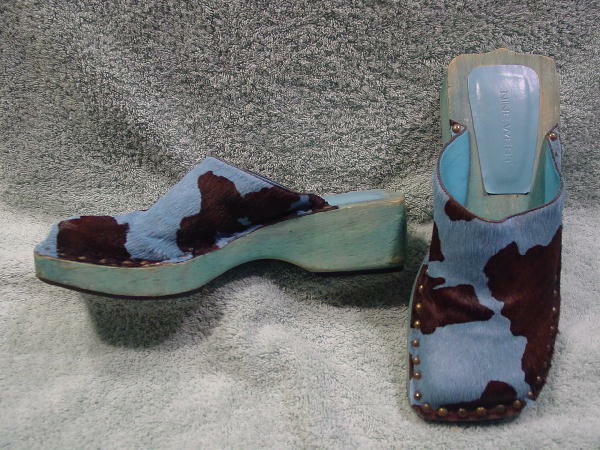 The bases are in various shades of light green lightweight wood and the black soles and heels are manmade. The lining is also manmade. 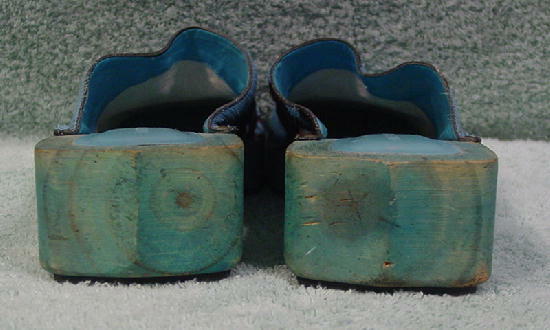 Both shoes have dings (with color missing on some) on the back sides of the wooden bases. The light blue and dark brown pony hair is held in place by brass color tacks. The toe areas are wide and angled. The partial blue lining is starting to flake a bit. They're from a stylist's inventory, and were worn in several foreign films.